The assumption that you have to have 20% down to purchase a rental property keeps a lot of first time home buyers from considering the possibility of buying a multi-family property as their first home. This is especially true since multi-family properties are generally priced higher than a single family home. However, if it is you are a first time home buyer and you plan on living in one of the units, you may qualify to purchase a multi-family home (2-4 units) for as little as 3.5% down with an FHA loan. Plus you have the rental income from the other units to help you with your mortgage payments. When you run the numbers, you can actually come out ahead financially compared to if you had stayed in your comfort zone and bought a single family home. Most people get sticker shock at the price of a multi-family property, especially if you’re a first time home buyer and don’t have anyone to help you figure out things like rental rates, operating expenses, and utilities. It is important to make some basic calculations if you’re looking to buy a property as an investment. For the sake of being realistic, I am going to use the prices of some properties that were on the market in 2016 in Seward, AK for a quick calculation. Let’s say you purchase a single family home for $175,000. With 3.5% down, your mortgage payment would be around $785/month (not adding in taxes and insurance). However, if you bought a triplex for $298,000 with 3.5% down, your mortgage payment would be $1,330/month (not adding in taxes and insurance). But rather than just owing money for your mortgage, you would also have rental income of $1550/month on the other two units that you’re not living in which means that you’re making $200/month and your renters are paying your mortgage for you. While having other people paying your mortgage for you sounds great, the factor that you do need to consider is that the 3.5% down payment on the triplex in this example is $10,430, while the downpayment on the single family home in this scenario is $6,125. Plus the closing costs are going to be a little higher on the triplex as well. Overall, you will end up having to put down a few extra thousand dollars when you buy a multi-family property. However, it’s not hard to see that making $200/month is a lot better than paying $785/month in the long run. Even if you add the taxes and insurance into those payments, you are still coming out ahead with the multi family option in this case. Perhaps now the wheels are turning on the possibility of owning a multi-family property for your personal residence as a first time home buyer, but I’m not out to sell people on that option without warning you about some of the possible downsides as well. The biggest downside to owning a multi-family home is that you are now a landlord. Despite what you may have heard, being a landlord doesn’t have to be a headache. In fact, in the past 6 years of handling around 80 rentals/month in the Seward area, we have had very few renters that intentionally and negligently cause problems for us. Most of our renters are responsible, friendly people who communicate well with us. In turn we try to be good landlords by staying out of their personal business, and only sticking our heads in when there’s a need. 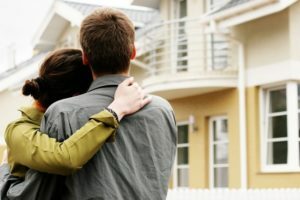 Some of the most important things you can do to ensure a good relationship with your renters as a landlord are to run good background checks, have a good lease in place with all the details in writing (verbal agreements won’t usually hold up in court), and collect a security deposit equal to at least one month’s rent. Doing these three things right will make it much easier for you to be a friendly landlord in the long run. Another point to consider when you own a multi family residence, and live on the same property, is that you are right there if anything goes wrong. That can be good and bad. Your evening watching Netflix might get interrupted because someone has a leaky pipe at 10pm, but with a turn of a wrench you could be back on your couch within 10 minutes since you live right next door. Plus you just saved yourself a few dollars by not having to call in the professionals. Of course, it’s not always that easy – roofs leak, appliances break, toilets malfunction, and inevitably the heat goes out on the coldest night of the year. As a landlord these are now your responsibilities and your expenses. You may consider the responsibilities involved with being a landlord and think that it’s not for you. As a landlord, you have a legal responsibility to your renters to provide certain amenities and a standard of care for your property, which can at times feel like a lot of extra work. On the other hand, for first time home buyers interested in owning a multi-family property as their primary residence and willing to take on a little extra responsibility, being a landlord can be rewarding both personally and financially. If you’re looking at properties to buy and live in, but have not considered the possibility of owning a 2-4 unit property, you may be missing some of the best properties on the market. While it may not be your dream home initially, it could be a great investment towards helping you make the money to afford your dream home down the road.